Posted on January 3, 2013 by Mia G.
I never expected that I could do so much, visit so many places, and learn so much through new experiences in a span of a year. If I could eat, sleep, breathe…travel. I would. It’s something that I am very passionate about, besides the fulfillment of making little dendrites come to life in the small but highly capable and amazing brains of my beloved preschool children. And last 2012, I have been truly blessed. In a nutshell, here are my life’s blessings for the past year, and I will always be grateful for all the travel opportunities that I have been given. And for all these, I have the good Lord above to be thankful for! The world is indeed so beautiful, and I can’t wait to wander and rock the rest of my 2013! LIVE THE DREAM, WEAR THE PASSION! 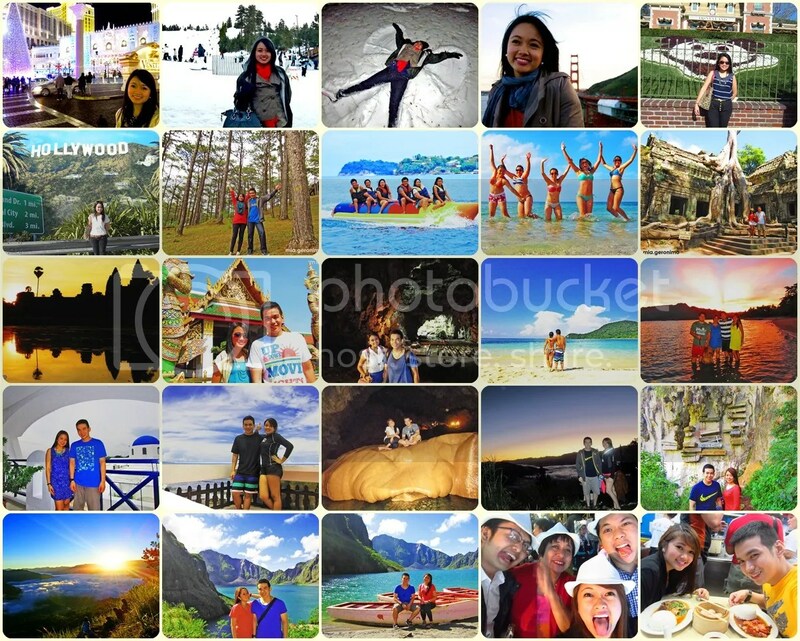 Posted on October 5, 2012 by Mia G.
To say it’s more fun in the Philippines is an understatement. The Philippines offers a hodgepodge of very rich experiences you will never forget in your lifetime! Posted on June 13, 2012 by Mia G.
Posted on March 3, 2012 by Mia G.
The Philippines is truly more than the negative publicity that the international media projects towards it. It is home to the most unique and exquisite tourist destinations, pristine blue beaches, and unforgettable gastronomic encounters. And best of all, It is home to the warmest and brightest of people, the very asset of a nation. Watch this video to get a glimpse of what you may want to expect in the Philippines. A Boutique Airport for the Philippines! Posted on November 7, 2011 by Mia G.
Following the recent title of the Ninoy Aquino International Airport (Manila International Airport) as the worst airport in the world, a team composed of an architect, interior designer, and a furniture designer made a probono proposal to improve and restore the NAIA Terminal 1. “A pro-bono proposal from Budji Layug, Royal Pineda and Kenneth Cobonpue in cooperation with the National Competitiveness Council of the Philippines. It’s time someone did something about the worst airport in the world. So we made this design because we believe that no matter how beautiful our country is, our airports give the first and last impressions. This plan is relatively inexpensive and simple to adapt. The plan also involves renovating the interiors to allow faster flow of travelers between security, immigration and departure. And finally, the government allots 1 billion pesos to proceed with the face lift of an international airport seeking to redeem itself! It’s about time! Thank you Lord! I can’t wait for the actualization of this project! Posted on November 1, 2011 by Mia G.
Precisely defines me! Let’s all travel while we’re young and with a spirit of youthfulness! The other night, I had a conversation with a young woman who had a number of decisions ahead of her, one of which is whether she would go to grad school or travel the world. I told her to travel. Hands down. No excuse. Just go. Never were more fatal words spoken. Yeah, but… what about debt? Yeah, but… what about my job? Yeah, but… what about my boyfriend (or dog or car or whatever)? “Yeah, but…” is pernicious. Because it makes it sound like we have the best of intentions when really we are just too scared to do what we should. It allows us to be cowards, while sounding noble. 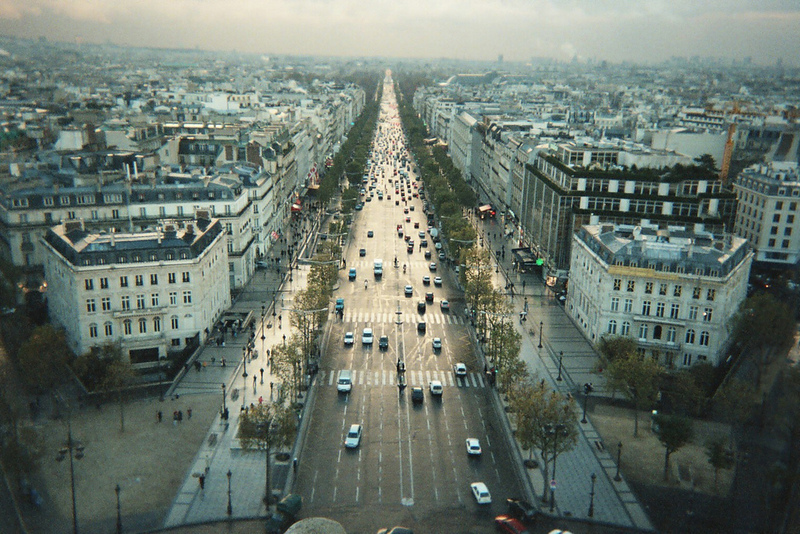 Most people I know who waited to travel the world never did. Conversely, plenty of people who waited for grad school or a steady job and traveled still did those things — eventually. Be careful of the yeah-but. The yeah-but will kill your dreams. I was so stirred by this conversation that I shared it with a group of about thirty young adults last night, many of which are asking these very questions. When you get older, life seems to just sort of happen to you. Your youth is a time of total empowerment. You get to do what you want. As you mature and gain new responsibilities, you have to be very intentional about making sure you don’t lose sight of what’s important. So if you still have a reasonable amount of control over your circumstances, you should do what really matters. Because life won’t always be just about you. During early adulthood, your worldview is still being formed. It’s important to steward this time — to give yourself opportunities to grow. A good way to do that is to travel. You will regret few risks you take, when it comes to this. I promise you. Bicycled across the Golden Gate Bridge. Learned Spanish in three months. 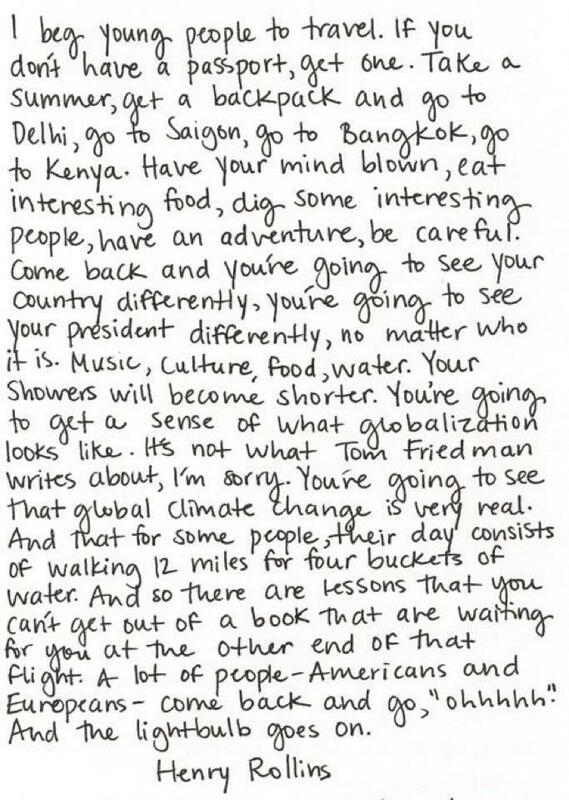 While you’re young, you should travel. You should take the time to see the world and taste the fullness of life. It is worth whatever monetary investment or time sacrifice that is required on your part. It’s not about being a tourist. It’s about learning the importance of experiencing true risk and adventure so that you don’t have to live in fear for the rest of your life. In your youth, you will make choices that will define you. The disciplines you begin now will be with you for the rest of your life. Traveling will change you like little else can. It will put you in places that will force you to care for issues that are bigger than you. If you go to southeast Asia, you may encounter the slave trade. If eastern Europe, you may see the effects of genocide and religious persecution. If Haiti, you’ll witness the the ugly side Western paternalism. You will begin to understand that the world is both a big and small place. You will have a newfound respect for the pain and suffering that over half of the world takes for granted on a daily basis. And you will feel more connected to your fellow human beings in a deep and lasting way. You will learn to care. While you’re still young, you should get cultured. Get to know the world and the magnificent people that fill it. There’s nothing quite like walking alongside the Coliseum or seeing Michelangelo’s David in person. I can describe the city of San Juan and its amazing beaches and historic sites to you, but you really have to see it for yourself to experience it. You can read all the books in the world about the Great Wall of China or The Louvre, but being there is a different story. The world is a stunning place, full of outstanding works of art. See it. Do this while you’re still young. Do not squander this time. You will never have it again. You have a crucial opportunity to invest in the next season of your life now. Whatever you sow, you will eventually reap. Please. For your sake, do this. You won’t always be young. And life won’t always be just about you. So travel. Experience the world for all it’s worth. Become a person of culture, adventure, and compassion. Travel, anyway. It may not be easy to do, but find a way to get out of your comfort zone. It’s really never too late. But if you haven’t gotten sucked into the routine of life yet, I implore you — travel. It will never be easier than it is right now for you to do that which really matters. If you’re young, have you traveled yet? Have you seen what the world has to offer and how it can change you? What’s holding you back? If you’re older, did you travel when you were young? What regrets do you have? Posted on October 31, 2011 by Mia G.
Following my cancelled trip to Bangkok, Thailand and Siem Reap, Cambodia, we just rerouted our plane ticket to a domestic destination. We’ll just visit Bangkok and Cambodia when it’s meant for us already. At the end of the day, it’s always great to come home to the Philippines and marvel at the most beautiful islands of the Philippines, Coron in Palawan. 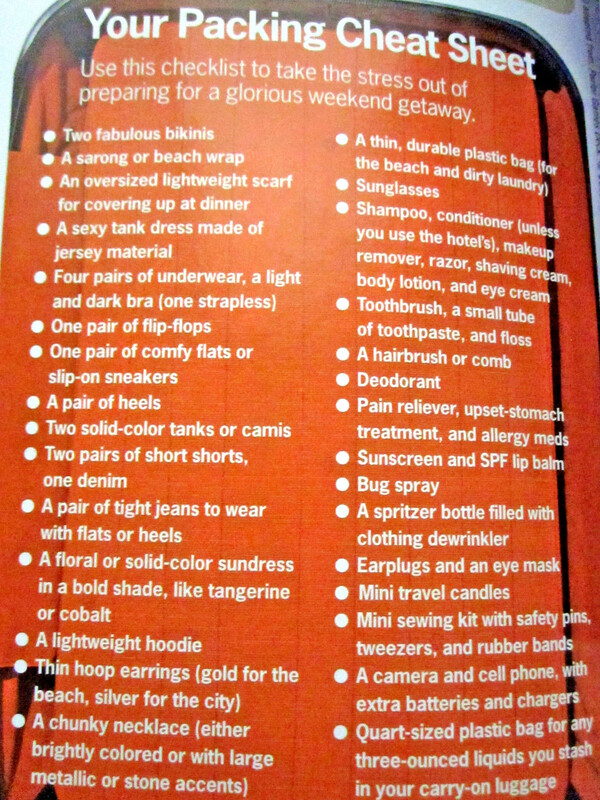 I happened to stumble upon this feature on a magazine, and for girls like me, this checklist will especially be helpful in preparing for an upcoming beach escapade.